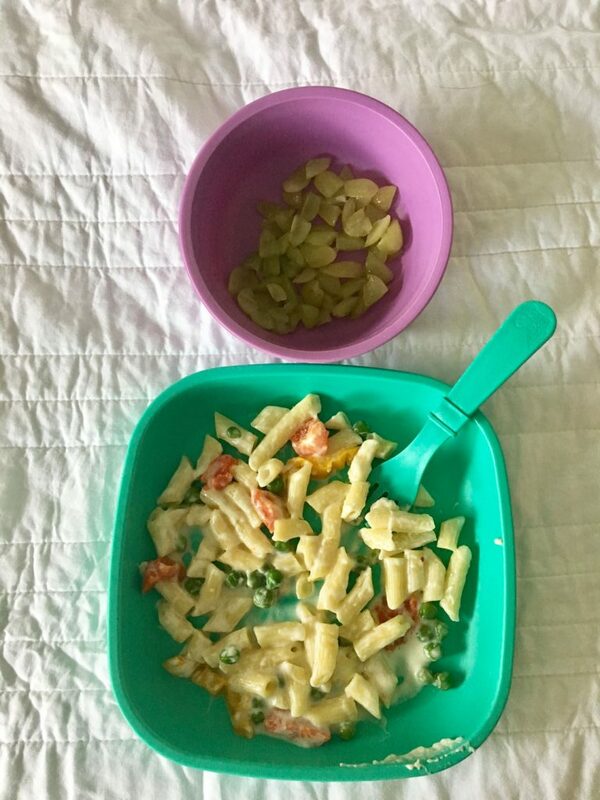 I don’t know about you but I always struggle to find new meals to feed my one year olds. They are pretty picky eaters, so I’m always rotating through the same foods. I’m pretty sure “infant meals” is a permeant search on my Pinterest. Well, here I am now to help some other mamas find new meals to serve their babes. To make it even better I am showcasing Harper and Mason’s new tableware with RePlay Recycled! If you haven’t heard of this company, you better keep reading because they have some amazing products! RePlay Recycled is completely made and tested in the USA! All the products are made from recycled milk jugs. Those two statements alone should already sell ya! 😉 Not only are they green but they are super affordable. 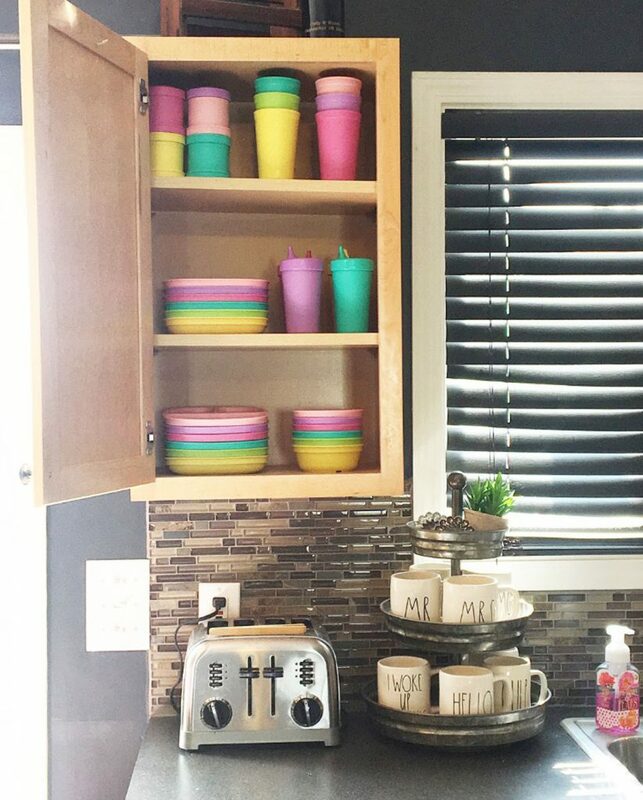 Looking to spruce up your children’s kitchen cupboard? 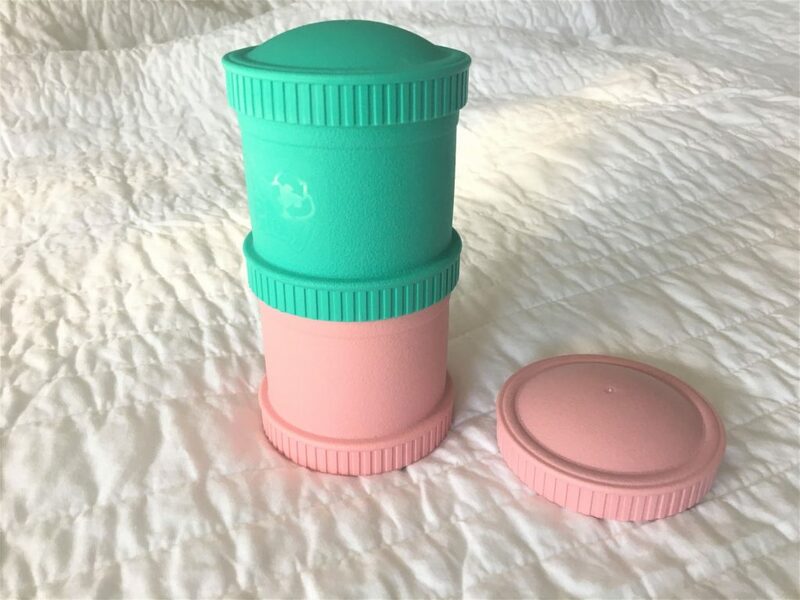 RePlay Recycled can be found on Amazon, Target, Walmart and more! Check their website for a store locator. I’ve been very happy with these products. They are sturdy enough to withhold babies banging them on the floor and multiple cycles through the dishwasher. We chose the Sorbet Collection because I love all the colors! If you’re more of a neutrals person they have some awesome black and white pieces. Check these products out – you won’t be disappointed! Snack: I usually give them a light snack right when they wake up. Today it was sweet potato Puffs. 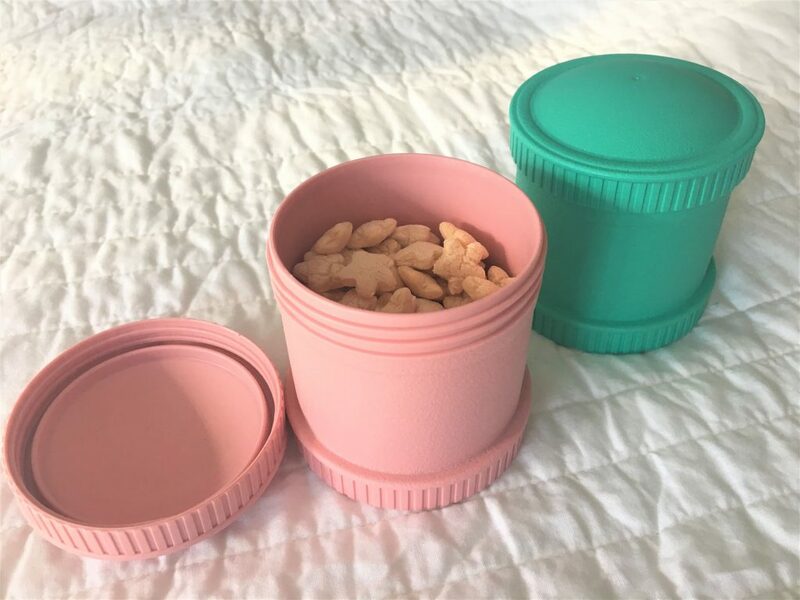 I LOVE these stackable snack containers. They each have their own tops or you could stack them to hold more than one type of snack! I plan on throwing these in McKenzie and Kasey’s lunch boxes with some grapes or other fruits. 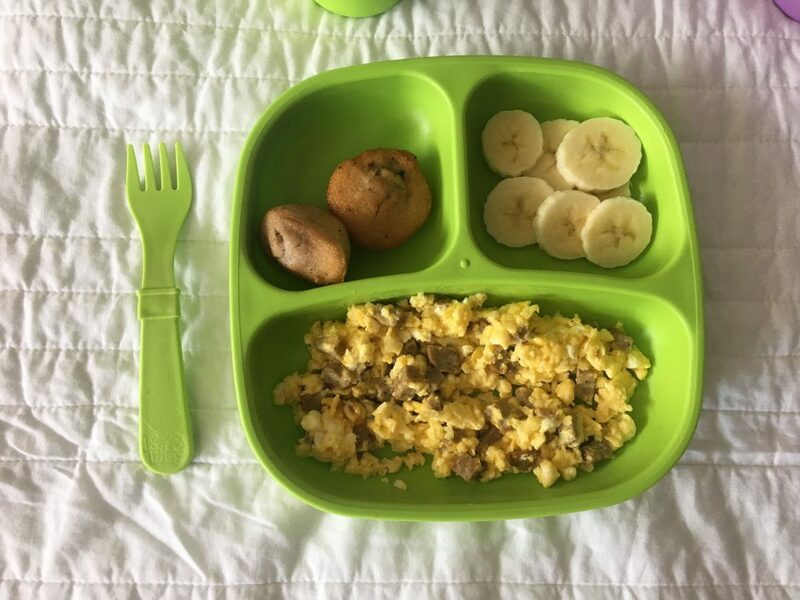 Breakfast: Bananas are a favorite in this house so they have one cut up pretty much everyday. I also made a breakfast scramble with eggs, shredded cheese and turkey sausage. I threw in two mini blueberry muffins. They always have their breakfast with a sippy cup of milk. 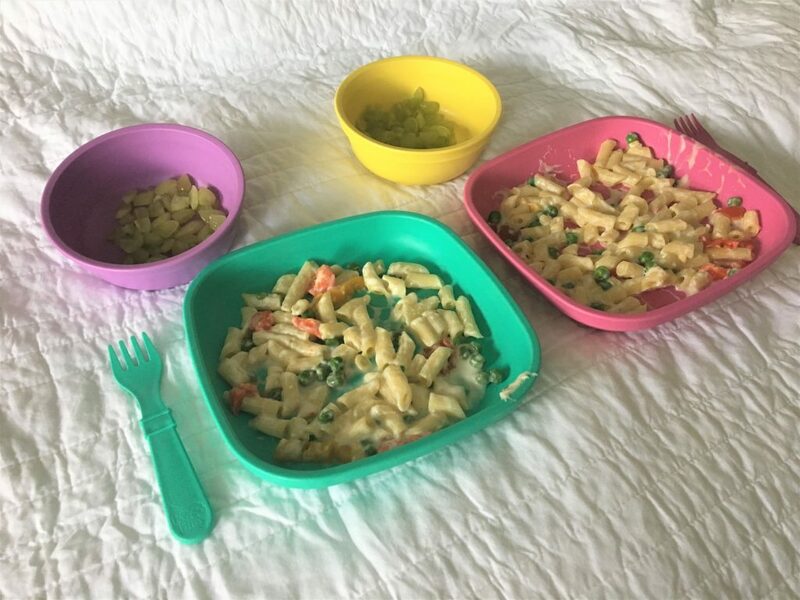 The divided plates are SO handy! Yeah I agree, suction plates make more sense with one year olds but these will last for years to come. Their spill proof sippy cup is what drew me to RePlay Recycled. I saw people sharing photos of the cups on Instagram and thought they were awesome! Lunch: Cut up chicken deli meat, cheese cubes and a broccoli pouch. 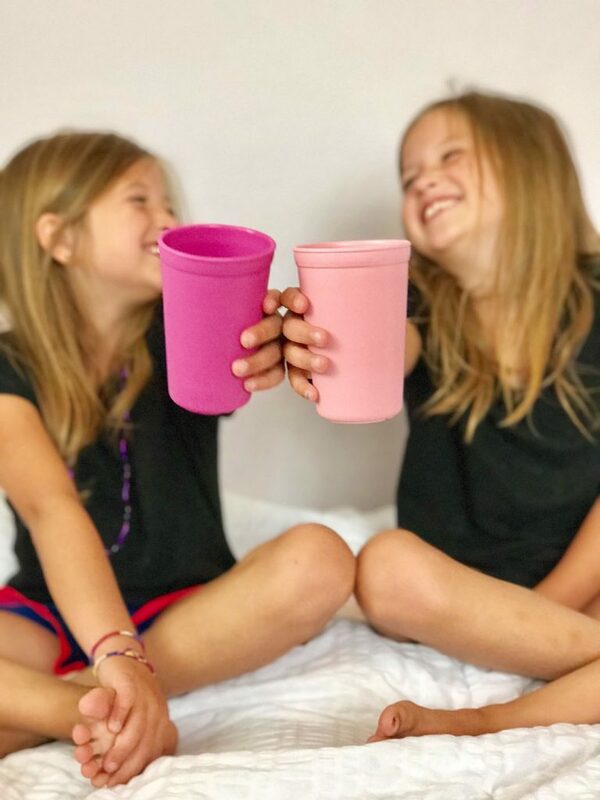 This time in their sippy cups they have water. 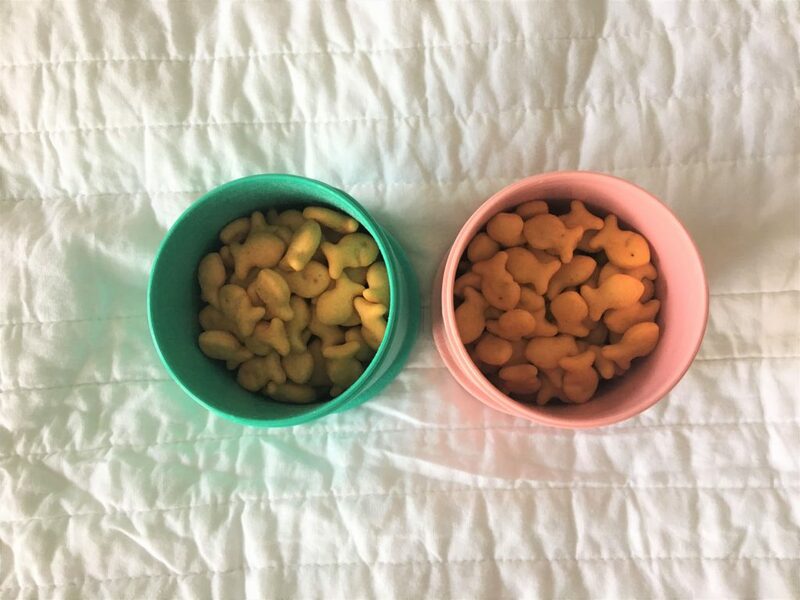 Snack: goldfish crackers – easy peasy. Can’t forget the milk! Dinner: Penne noodles and mixed veggies in alfredo sauce with a side of grapes. Dinner is also served with water. 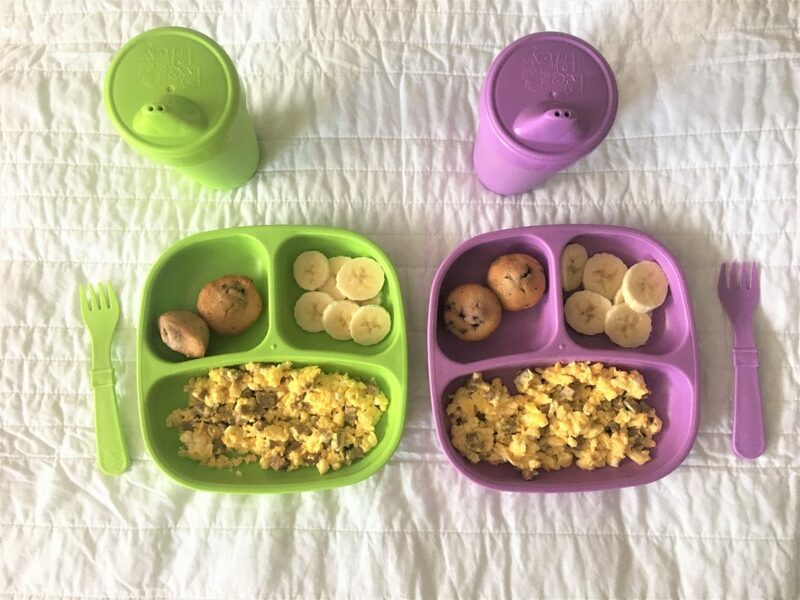 RePlay Recycled also makes bowls and plates that aren’t divided. 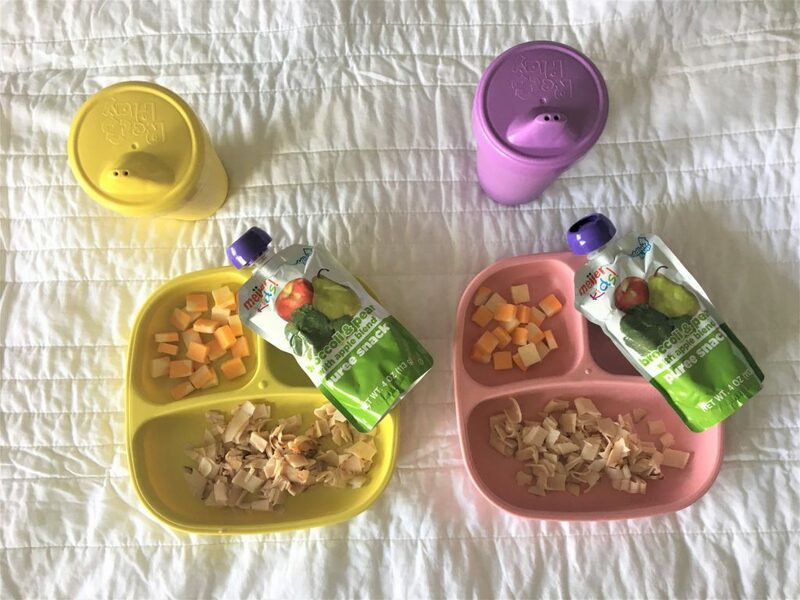 I love that these products can grow with my babies! 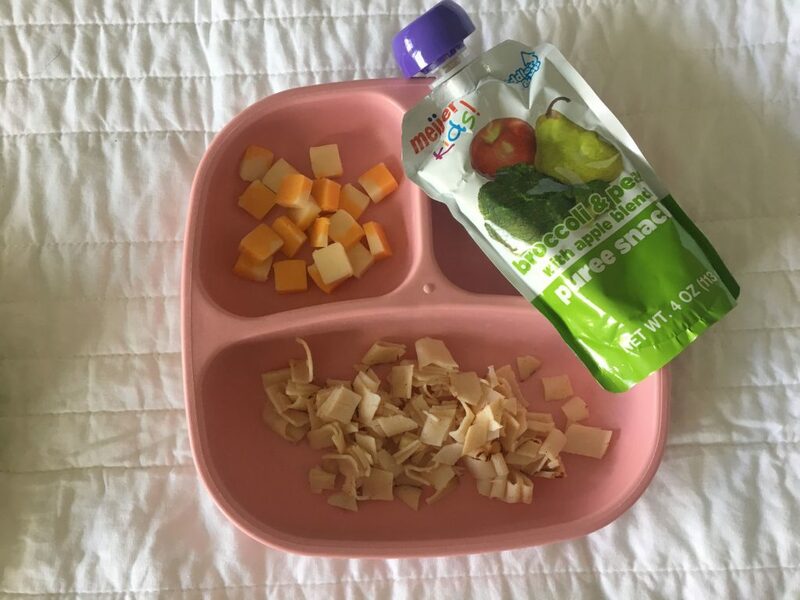 I hope this gave you a few more meal ideas for your littles. Drop some other ideas in the comments below! All products are linked within the post. *This post was written in partnership with RePlay Recycled. All thoughts and opinions are my own. Thank you for supporting this blog.